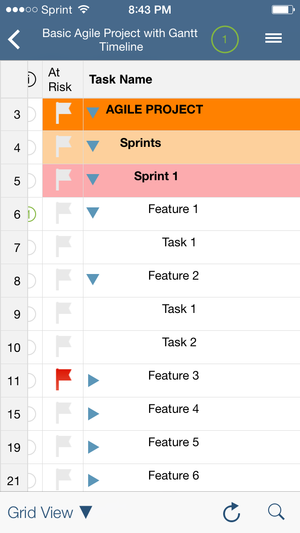 Project management apps are supposed to make your life easier. They’re supposed to make it easier to get organized and stay that way, by managing your projects and tasks from one central spot. That’s why it can be so bad when project management apps fail; there are few things more disheartening than a product that promises to make your life easier making it harder instead. We took a look at three of the most popular project apps available today to see how well they worked. The good news? All of them delivered. And better yet, they’re each just different enough that you’re likely to find one that appeals to you. 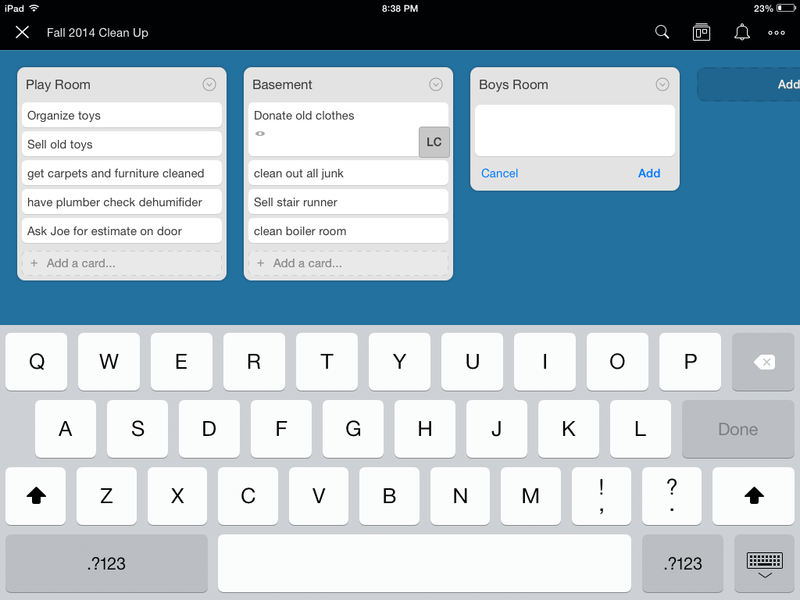 Trello's visual layout makes your projects very easy to manage. When I first starting using Trello, I wasn’t blown away. This project management app, which is available for a wide variety of platforms (Android, Web, iOS, Kindle Fire, and Windows 8) says it can help you “organize anything, together.” Sure, that sounds promising, but when I fired it up for the first time, I wasn’t sure what to make of its boards, lists and cards. It was once I started using it to get organized—really organized—that I began to appreciate the true beauty and simplicity of Trello. I like that its interface looks remarkably similar in both the mobile apps and the desktop version: It features a good deal of open screen real estate, on which you see your “Boards,” which represent all of the projects you have in the works. Creating a board is easy, as is adding lists and then cards, which are the two sub-categories Trello uses for organization. It’s a great way to break a big project down into manageable chunks. You can make boards public, private, or viewable to members of your organization. You also can share boards with others by entering their email addresses. Trello recognizes those that are Trello users and sends an invitation to those who are not. You can assign tasks to fellow users and set due dates, or allow users to claim items they’d like to complete. Trello displays a column on the right side of the screen that tells you who’s working on what, but it doesn’t have a space for messages, which would be a nice touch. If you can live without that collaboration feature, you’ll find Trello a worthy organizational tool. Trello’s basic features are all available in the free version. Upgrading to Trello Gold ($45 per year) lets you upload files as large as 250MB to your boards (the free version limits attachments to 10MB). It also adds features such as custom backgrounds. The Business Class version (also $45 per year) adds some administrative features for business users. Asana's layout can seem busy, but it offers access to plenty of information. It does that by allowing you to create Projects, and lists of the tasks necessary to complete them. You can view tasks by list or by calendar, and can sort by tasks to do, those that have been recently completed, by assignee and more. Once you’ve created a task, you can assign it to someone to complete, much like you do in Trello. From the left hand column of Asana’s Web version, you can access your tasks, your inbox, where you can trade messages with your collaborators, and your dashboard, which offers a handy, high-level summary of your projects. In many ways, Asana is more robust than Trello, offering more features for teams who want to stay in constant contact as they collaborate. But Asana also comes with more of a learning curve, as it requires someone who will take the time to learn its ins and outs, and set it up completely with all of the details of your projects. Doing so is the only way you’ll get the most out of it, and it will take some time. Asana’s mobile layout (apps are available for Android and iOS) is simpler than its Web-based version, a change that I found refreshing. It offers a simpler way to browse your inbox and tasks, and is well suited to use with a touch screen. I wish the Web version were more like the mobile app. Like Trello, Asana is free for most users. Organizations looking for additional privacy controls, an unlimited number of guest users and additional Dashboard features will have to opt for a Premium plan, which starts at $50 per month for 15 users. Smartsheet uses its screen real estate wisely, making text easy to read, even on an iPhone. If Trello is too visual for you, and Asana seems a bit overwhelming, consider Smartsheet. This project management app takes a spreadsheet-like approach to organization that just may be the perfect fit for you. Anyone who’s ever used a spreadsheet will feel right at home with Smartsheet. You organize projects into sheets, which can be formatted using one of the many templates or outlines that Smartsheet provides, covering everything from event planning to a product launch with Gantt (a type of bar chart used to show a project’s schedule). If none of Smartsheet’s templates work for you, you can use one of its basic layouts and customize to your liking. From there, it’s very simple. You enter your tasks, and format them almost as you would in a spreadsheet—except it’s a lot easier to do so in Smartsheet. You can easily set due dates, collapse and expand columns and rows, enter data from pick lists, and more. You don’t need an extensive knowledge of spreadsheets to feel comfortable in Smartsheet, and you can do things you can’t do in spreadsheets, such as upload attachments like videos and PDFs. You also can switch the video to a calendar format or view your project as an interactive timeline. Sharing your Smartsheet is easy, as you can email a link to an unlimited number of users, and I like how easy it is to control who has editing power and who can simply view the sheet. 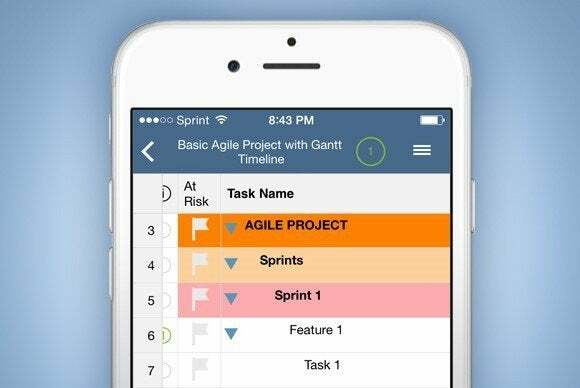 Smartsheet’s mobile apps (available for Android and iOS) are also easy to use, and the sheets you create are easy to view on even the small screen of a smartphone—something that’s not always true of spreadsheets. Smartsheet is free for 30 days. After that, plans start at $14 per month and go up from there. It is a robust project management app that straightforward business folks will appreciate, but it does lack the built-in collaboration of Asana and the simple, visual appeal of Trello.